That she was a woman with a past enhanced her standing with the French. 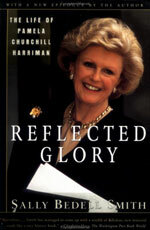 Her energy went into 16-hour days dealing with questions of international trade, NATO expansion and the war in Bosnia, and working the telephone to Washington late into the night, trying to forestall cuts in the Foreign Service budget. She loved every minute of it.